I love love everything about this post (two loves – on purpose, because I really love it). He is adorable!!! He is adorable. And you are precious. Your Godly spirit shines through in everything you write. And it doesn’t hurt ONE LITTLE BIT that you make me laugh and smile at every post. Fried Chicken, you are wonderful! I LOVED reading your story about meeting Wilter! From the butterflies in the stomach (been there), to the big hug, to the spanish blunders (been there too), to the many ways that God showed you that HE had chosen Wilter before you even selected him. It was a blessing to share in your day!! Awww, Sophie!! Only GOD could do this. What a delight to laugh with y’all and delight in His handiwork today. Praying for that Amazon trip tomorrow!! Before I scrolled to the photo I was saying “oh, I hope she brought him a State shirt!” As usual, you don’t disappoint! And I couldn’t think of a better name for a southern lady than Fried Chicken. I mean, it is what we are, hon. I love your meeting Wilter story! Everybody does need a Wilter. And also the chicken. You and Wilter are a match made in heaven. And yes, the pun was SO intended. Bless you Sophie. Your compassion, your wit, and your transparency are God’s gifts to you and to all of us. You made me laugh (out loud) and you made me cry and most of all you made me proud to be a Christian. You are a fine example of what being a real Christian means and you do it all with such grace and humor and clogged up arteries!!! :0) We should all be so lucky to have a Wilter but until we do, we thank you from the bottom of our deep fried hearts for sharing your Wilter with us! Laughing, crying- this was wonderful! Like everyone else, I laughed and cried when I read this, too! You know what I love? That everyone’s “voice” comes through on this trip. I follow every single one of your blogs, and I’m not surprised, but it’s just so refreshing to “see” that not only is Compassion who they say they are, but all of you are, too. The unique way you each authentically tell the same story is really beautiful. Blessings to you all! I loooove that Wilter shares your genes all the way in Ecuador. It’s such a small world when your God is so big. LOVE this story, friend. Everybody does need a Wilter! I am grateful for every one of mine, and I will continue to write them. Thank you for helping all the Wilters waiting increase their opportunity of being sponsored. Oh, and thanks too for making me cry…I laughed that hard! Bless you! Well, Sophie, first of all, props to you for representing the SEC in Ecuador! I just wish I’d have sent you at Florida Gators shirt to take to him, too. You know, just to represent the Eastern division of the conference. There is so much to love in this post, but the best to me is how you recognized God working things out, orchestrating everything so perfectly. I love it when that happens and when we recognize it. Looking forward to your Amazon adventures! We all need a Wilter. So very true. I can’t tell you how much joy your posts bring my heart. You are a gift. How awesome! As my four yr old would say, “that was just the best day of my life!” which he says quite often. I am sure Wilter would say the same thing. Thank you for sharing your amazing day with us. Wow, God is sooooo good! Oh Miss Sophie. I just laughed until I cried and then I laughed some more. Pollo frito! Oh, and that little line about the building campaigns- zing! Right on. You are seriously gifted at making me laugh out loud, stop and think hard, then laugh out loud again. It’s impressive. Thank you for sharing Wilter with us all. Oh my word Sophie!!! I just cried reading about you meeting Wilter! I sponsor 2 boys in El Salvador and just dream of the day I get to meet them!!! Sponsoring my two boys has been a life changing decision for me, best one I’ve ever made. Love your stories! I’m trying to remember back to my high school Spanish (over 40 years ago!). Would “Me gusto pollo frito mucho!” be the way to say “I love fried chicken!” ? OO YOU ARE A RIOT! I just love when Andrea says anything here. It is icing on a cake that is already just wonderful the way that it is. Sophie, you are hilarious. Every post you write makes me laugh out loud. Many also make me cry. Thank you for that. I’m so glad you are on this trip because experiencing Ecuador through your eyes is awesome. And very funny. What an inspiration! What a great trip…wow! I am also just discovering your blog and love you already. What fun and what a heart. God bless you, and I pray that the rest of your trip is awesome! I laughed and cried my way through this post, Sophie. 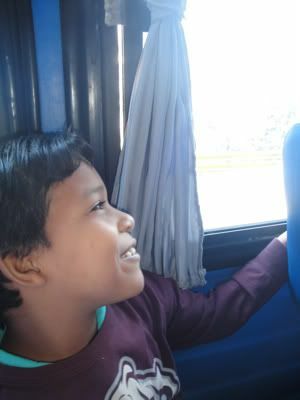 What a lovely day with your sponsored child. I’d love to see Alex’s face when he sees these pictures and hears these stories. Amazing. I wonder if Alex even knows his mama’s real name is Fried Chicken? Laughing/crying at the same time is such a great way to start the day! SO PRECIOUS. You couldn’t have written this any better. I ADORE you & your posts. He is precious & I am so amazed that God put someone like your boy in your lives to sponsor. HE is in every. detail. I love the chicky box, too! Tears and smiles… You have been a blessing to each other. 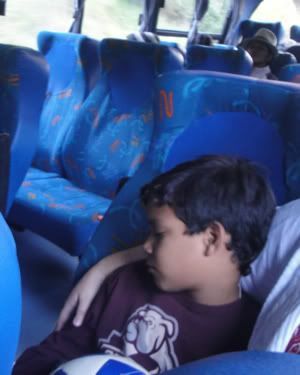 I pray that some day I will get the oppurtunity to meet my compassion child Fabricio! This post had me crying and laughing at the same time, Sophie. I love that the Lord worked out so perfectly which child was perfect for your family to sponsor. I love that you called yourself Fried Chicken and I love that you love Wilter. Reading y’all this week makes me so badly want to hop on a plane and head to Guatemala and hug my little Compassion cutie’s neck. This is my first time on your blog – I came over from the Compassion site – and I am SO THANKFUL that I did! 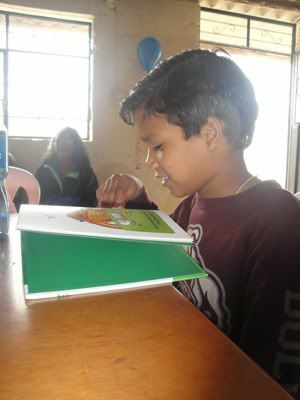 I recently sponsored my first child through Compassion (also an Ecuadorian child) and I have been reading and soaking in as much as I can about the program, the children, the cause, the ministry. I can’t wait for my very first letter from Jaleska (my sponsored child) and I can’t wait to build the relationship with her! Thank you for sharing your and Wilter’s story. It is precious and wonderful! 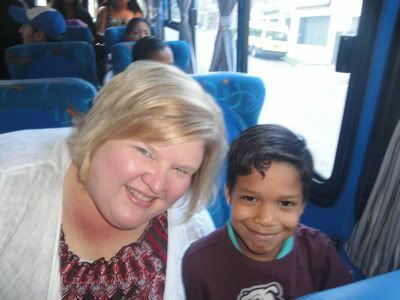 I’ve just recently started reading your blog, as the Ecuador trip started, and I am so glad I have! I love how you blend lightheartedness and humor with the beauty and seriousness of what you write about … my 11 year old son and I had the best laugh together as we read about your new nickname! And, what a blessing to see how great a time you had with Wilter! Everything about what God is bringing to pass in Ecuador (in hearts, too) through Compassion is amazing … I am so happy I can be a part of it, here! What a sweet, sweet post and I think Fried Chicken is a great nick-name. lol I’ve sponsored a little boy in Ecuador for over 2 years now and I’m hoping maybe I’ll see him in one of y’all’s photos! I pray you continue to have a wonderful and safe time as you are being a blessing to these kids but I’m sure mostly receiving a blessing from them. Okay I went from sobbing to a full on snort reading this… I am your sponsor, fried chicken, I just can’t quit laughing. You are so funny! I am so glad Amanda was there, to help you out. I love this post. I need a Wilter. I might need two. I am convincing my children that sponsoring a child would be an excellent Christmas gift to ask for… They love seeing the pictures, and Melanie’s picture of the cinder block house left me stunned and ashamed of all I take forgranted. May I never complain about a trip to the grocery store or that five bedroom house needs painting again. I am ashamed, but grateful. You and Melanie can have me laughing to bawling to laughing again in 30 seconds or less!! Have fun with the monkeys today! Love this post—laughing and crying all at the same time. That little boy is the cutest thing “that ever did grow”. This was a great post and we serve a great God. Wilted is precious and you are awesome! Praying for your canoe trip. This post made me laugh and bawl at the same time. I love that God is in the tiny details…that he cares so much about the littlest things in our lives. What a blessing for you and Wilter :) And I love the truth at the end about discipleship amd how the church should be focusing on the gospel. Thank you! Thank you for your gift of transparency and humor. I hope to someday meet my compassion children too! THanks for showing what a great bond God can forge from so far away. So funny & beautiful. Inspired. OH the emotion! I laughed, I cried… I laughed through tears! Said it this a.m. in Melanie’s comments and I’ll say it again… THANK YOU! Because of you, I am truly digging deeper and seeking Him for direction. Because WE are the Church and we need to redeem the time. This post made me tear up a bit. He is so precious. The way God connected you two is beautiful. Thanks for sharing this trip with us. I loved this post! Thank you so much for sharing it! It’s a great thing to make te sacrifice but it just takes it to a whole new level when you get to meet the little one that you are sponsoring! Also, I love when people have the same name as me because I never see anyone with that name! Oh, Sophie. Is it possible to cry a pint and bust a gut laughing all at once? It’d better be. You make me want to jet-hop across several continents and hug each of our Compassion kiddos right this second. Everyone needs a Wilter, indeed. Oh, I am crying. It started with seeing Wilter in the MSU t-shirt…absolutely perfect, by the way!!! And then I couldn’t stop. We dream of meeting our little Compassion child, Moris Orenyo, and talk about it every day….what a gift you have been given!! I am so thankful you shared!! 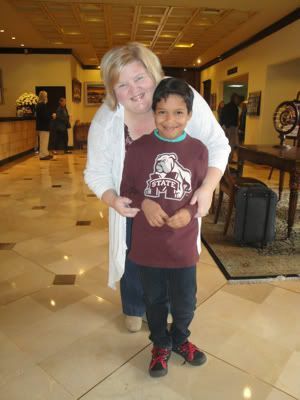 Hug that sweet boy and tell him to wear that shirt every Maroon Friday! :) Love you, Soph, my little fried chicken friend! Oh oh!! I want to be nicknamed GRAVY!!!! k? I laughed and cried through this whole post! What an ADORABLE smile and JOY and LOVE! Thank you for posting this – it has made my day! 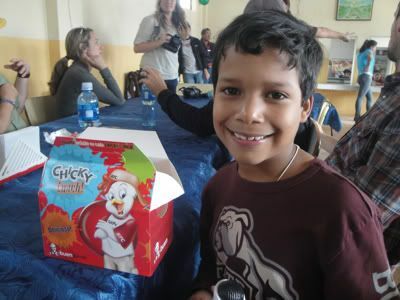 Love this post…Bulldog tee, KFC and God’s love for Wilter radiating through his sweet sponsor! Keep it up! What a great post, pollo frito! Not sure if I’ve ever laughed and cried at the same sentences quite so much. What a beautiful day you had, what a beautiful relationship you will continue to have. Praying for all of you on your trip. And when I pulled away to say, “I am so happy to meet you. I am SO happy to meet you. We pray for you every single night.” – well, he threw those arms around my neck again and held tight for about 30 seconds. CAN I JUST SAY TEARFEST 2011!!! And a heart full of hope…..
WOW! WOW! WOW! That is all. Oh my, he is the cutest thing!!! I’m so, so glad y’all are all there and we get the privilege to read about it! Oh my. I do believe you’ve got me in tears with every post from this trip. He is PRECIOUS. What a cutie and a wonderful boy. How exciting to meet him! My favorite post of yours ever! Tears, laughing that produced more tears, and a Mississippi State shirt! Our family definitely needs a Wilter. Thanks for what you’re doing! Sophie – this was so much fun, and I think you are right – everyone needs a Wilter! I also love that you got a new nickname in the process! Fried Chicken? I think it suits you! Actually, if the information I got from my ninth-grade Spanish teacher was right, “me amo” is basically a word for “love” that means “in a really romantic way” (even if two friends are going to say “love ya,” they’ll use “te quiero,” which despite its literal meaning of “wish or want” is considered more universal), so maybe it was better to say that your name was fried chicken than to basically say that you love it like your husband! But I have no idea whether maybe that’d just come off as hyperbole or what. If memory serves, in any case, “me encanta el pollo frito” is safe. But enough about that – your sponsor child meetup sounds so great! So glad you guys hit it off so well. I just wrote my own sponsor kid a letter for the first time last weekend after something like four years of sponsorship…so lame that I never got to it before, especially since I can tell from your guys’ entries that the kids get excited about them. Better late than never, I guess! So, so true. Thank you for this. Oh Sophie, what a treasure you are. You capture all the joy *and* hilarity that comes with hangin’ around kids, and all the moments are even more in color with sponsored children. Thank you for your words ~ you are a gift! Well, Boo, this is just about the most precious thing I’ve ever read. I’ve oscillated between laughing out loud and crying sweet tears because of the beautiful picture of love and redemption you’ve painted for us. And to think…the week is only half over! Can’t wait to hear the rest of your stories and see more pictures. Praying for all of you that your time would be an investment in the lives of many for the sake of the Gospel. OMG…sounds like an unbelievable day!!!! Warms my heart!!! And….You, of course, cracked me up!! He is an absolute cutie pie….definitely sounds a LOT like Alex…LOVE that!!! Love keeping up with this trip…. You just made me cry from laughing so hard. My husband and boys looked at me like I’d lost my mind. Boo, this is one of the most funny+beautiful+heartfelt things I’ve read in a long time. I had a perpetual grin on my face reading this today. God Bless you and Wilter!! Awesome post, Sophie! Melanie’s post yesterday moved me to get the child sponsorship off the to-do list. This post today confirmed that yes, it was indeed time, and it was what God called me to right now. Many thanks. I love it when a plan comes together…God is SO GOOD at that, huh? What an amazing day for you; thanks for sharing it with us. LOOOOOVE IT! God totally has a sense of humor! NEVER have I cried so much over fried chicken! There are no words for how awesome our God is…to pair the two of you together. Faithful, He is. God bless you, Sophie. Thank you for sharing your joy with us. What a great post! What a great God!! Laughter is a gift and you have it. And better yet, you also give it. And we are all so blessed by you. You so delicious and wonderful and better than any fried chicken. Thank you for sharing your joy with us, Sophie. How you see the world is such a blessing. Praying and enjoying! Can’t wait to hear about the jungle! What a wonderful story! So glad you have a Wilter! Loved today’s post. Blessings to you and Wilter. God is good, isn’t He? And doesn’t He have a great sense of humor? I’m sitting in a corner booth in a little restaurant in Kansas (such a long way from Kenya and my sponsor kids I love!) Reading today’s entry had me wiping tears from my cheeks–first out of compassion, then from laughter. You crack me up! Cannot wait to hear about the canoe trip! i have tears from reading one of THE BEST stories i’ve read in a long time. such a beautiful moment. i love that you all met. that there were so many similarities between him and A. i just love it all. incredible what God has done, is doing, and will continue to do. Gosh I love your writing and I love your heart. Of course you brought him a Mississippi tshirt (we would expect no less), of course you bonded over fried chicken … b/c the Lord works all things together for good! Boy, Amanda was not kidding in her post, I laughed till I cried. What a great post!!! Your line about the church not growing thru campaigns really stirred me, right on sister. I loved every bit of Jesus in this. I don’t know how all this talk of fried chicken has me in tears, but I am a mess. I’m a mess that needs a Wilter for sure. Love your words here, but even more I love your heart. Stopping by from the Compassion website, following the bloggers in Ecuador. Just wanted to let you know this made me LAUGH OUT LOUD! So awesome. Thank you for sharing your story and I am praying for you guys and your life changing experiences certain that God has one in store for me someday too. Laughing and crying…and convicted. Thank you Boo Mama. Oh, you had me in tears – I was laughing so hard! I love your sweet honesty and your sense of humour. But most of all I loved your words near the end about why we need a Wilter in our lives. So, so true! Sophie – thank you for going on this trip and for sharing it with us. God is using you in such a great way! Laughing and crying in the same post… I love it! Wilter sure is a cute boy! Isn’t Compassion great!!?? I love what God is doing through them… and through you! Our Jesus in you is so beautiful. Everybody needs a Wilter— because Christ so loved us all. You have no idea how I absolutely love you. Oh, this and you and GOD – just incredible. And, I love that Wilter loves fried chicken…how perfect is that? !